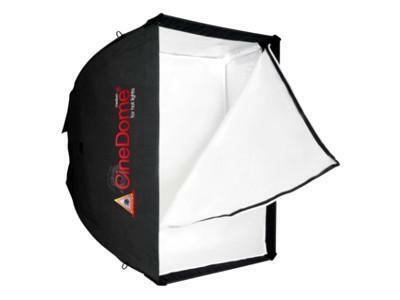 Originally designed for use in the film industry, the fabric is well suited for the heat of a continuous light. The Large CineDome is ideal for work in larger spaces maximum softening of the light is desired. The 36 x 48″ size is ideal for full length portraits of children. Maximum softness will be achieved when the softbox is placed as close to the subject as possible. Required Speed (mounting) Rings are available separately for many manufacturers’ lights.